Apple’s dominance over the tablet market is showing no signs of slowing down, with a new report revealing that the iPad counts for 69% of all tablets sold globally. 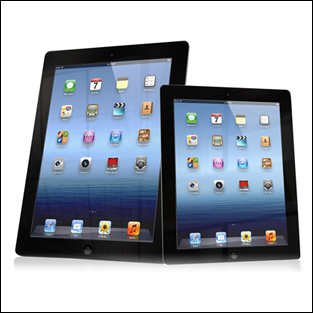 These latest figures from IHS show that sales of the iPad increased by an massive 44% in the second quarter of 2011, reaching 17 million units shipped. In total, this year has seen Apple ship 29 million iPads so far. To put that into perspective, Apple’s closest rival, Samsung, only managed to sell 4.5 million of its Galaxy Tab range during the same period. Samsung saw its tablet sales rise just 2.8% during the quarter, which shows just how amazing the iPad’s 44% sales growth really is. Apple and Samsung have a complex relationship, on the one hand they are at each other’s throats over Apple’s allegation that the South Korean manufacturer copied the design of the iPad and iPhone. But on the other hand, the two companies are close partners, with Samsung supplying a great deal of the iPad’s components. Samsung is also the number one manufacturer of Android smartphones – the biggest threat to the iPhone’s market share – and recently overtook Nokia to become the number one handset manufacturer globally. The only other real winner in the tablet market, according to IHS’s figures, is Asus, which saw its sales jump by 26%. The company has been focused on rolling out 10inch tablets along the same line as the iPad and has recently announced its high-specced Asus Transformer Pad Infinity. Amazon’s Kindle Fire failed to continue its success over the last year, with sales declining by around 13%. Of course, Apple will be facing fresh competition soon. Microsoft’s Windows 8 powered tablet, The Surface, along with other Windows 8 tablets from the likes of Lenovo and Google’s cost-effective Nexus 7, could eat into the iPad’s market share. “It’s possible that each of these vendors is entering the market intending to lead by example, rather than trying to be serious branded tablet competitors,” says IHS. Despite these new challengers, analysts are most interested in what Apple will do next. Speculation is growing that September will see a new, smaller 7-inch, iPad announced. This would be a rather humilating acknowledgement that Steve Jobs was wrong when he said 7-inch tablets were “dead on arrival”. It would also suggest that Apple’s lead in the market is not as secure as the current figures show. To hear more about our mobile & tablet app development services click here.